The PlayStation Blog dropped a big ol’ fat post today with a mega-FAQ for the upcoming PS4. I have spent a good deal of time combing through this list, so if you don’t want to read it all, I have put together some of the more interesting (to me!) questions below. Will PS4 support 4K content for video or gaming? Support for high-resolution 4K output for still images and movie content is in consideration, but there are no further details to share at this time. PS4 does not currently support 4K output for games. If I rent a game disc, and then decide I want to buy it digitally, can I use the mandatory install to avoid downloading it and just activate my license? No, in this example you would have to delete the disc install data and fully install the digital version of the game. Can I listen to audio CDs using PS4? No, PS4 does not support audio CDs. Is there a way to rename my Online ID on PS4? No. But PS4 does give you the option of allowing your friends to see your real name in addition to your Online ID. You can also choose to import your Facebook photo to be used as your PSN profile picture if you wish. The following PS4 titles are currently scheduled for release on or by November 15th, 2013. This list is subject to change, and we’ll continue to update it leading to launch day. 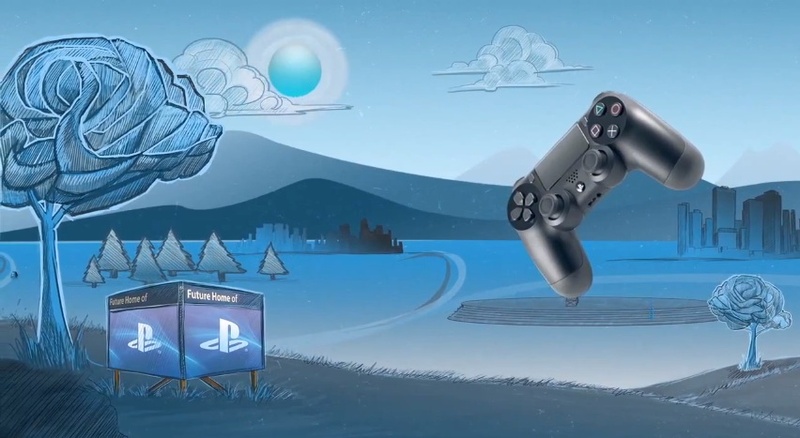 Can PS4 and PS3 users play together online, cross-platform? Will PS4 allow me to suspend and resume my progress across different games? First-party titles on PS4 (titles developed by Sony Computer Entertainment) will not use an Online Pass program. When it comes to third-party titles, PlayStation won’t dictate the strategy of publishers concerning Online Pass programs. However, most third parties have phased out the use of Online Pass systems, so they’re unlikely to appear on PS4. For cross-game Party Chat, how many players will PS4 support? As with the PS Vita system, PS4 will support up to eight users for cross-game Party Chat. The Party Chat feature works across both PS4 and PS Vita platforms. We strongly recommend that Remote Play be used within the same WiFi network where PS4 is connected. Remote Play may or may not work over a wide area network. For Remote Play to function over a wide area network, a robust and stable WiFi connection and broadband Internet connection is required, and the local area network where PS4 is connected must be configured to permit the PS Vita system to access PS4. PS4 players can share game video on Facebook, game screenshots via Facebook and Twitter, and gameplay livestreams via Ustream and Twitch starting on November 15th in North America. OK, this list ended up being longer than I had expected, but the original list is far longer and scary! If you have any questions about the PS4, however, you should take a gander at this super FAQ.